OREO is spicing things up again with a couple of all-new flavors. It’s no secret that I am a huge fan of anything and everything OREO. So, when I discovered the all-new OREO flavors, I almost squealed with delight. 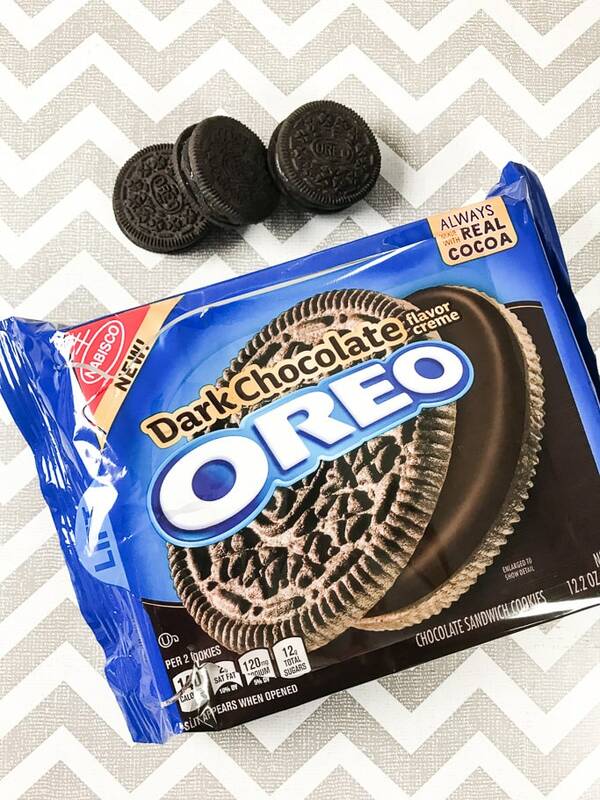 The two new flavors being debuted by OREO are Carrot Cake and Dark Chocolate. My husband and I taste tested the Dark Chocolate flavor. Let me tell you, it was delightful. Just when I thought an OREO couldn’t get any better, it did. 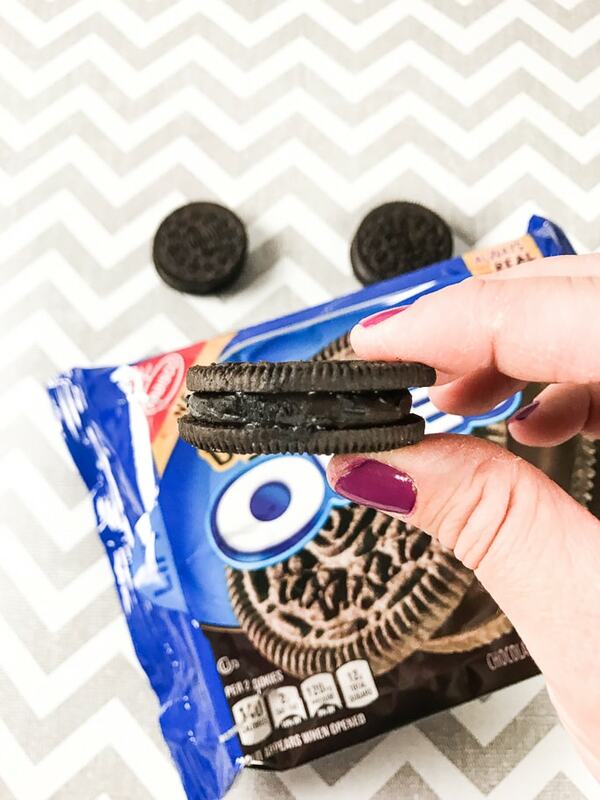 OREO Dark Chocolate cookies are two OREO chocolate wafers sandwiched around dark chocolate creme that will knock your socks off. It may seem like it’s not that big of a change, but the filling has that adult dark chocolate flavor that many of us love. It’s a total treat that you could hide away and take out after bedtime to enjoy with your spouse. Or by yourself in front of Netflix. Or hiding in the pantry when you just need one minute alone. It’s one of those kinds of treats. Just go buy them. You’ll see. Now, let’s talk about the carrot cake. 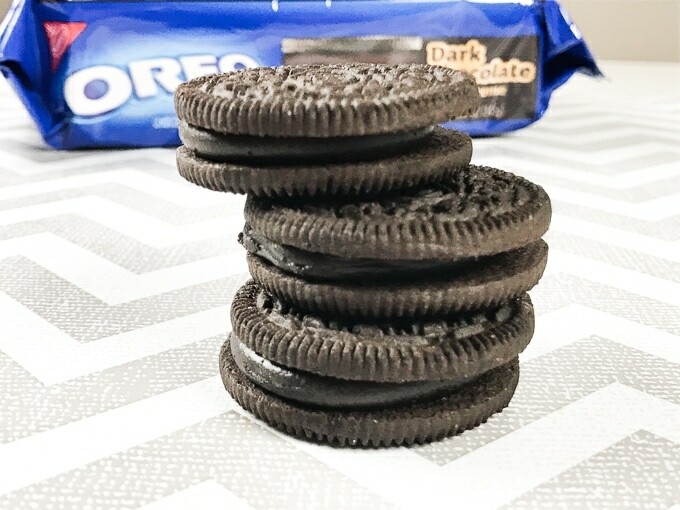 This is not your traditional OREO. There is no chocolate in-sight. But what you do have is wafer cookies that actually taste like carrot cake and a cream cheese filling. You read that right. Cream. Cheese.Filling. These cookies are like little bites of carrot cake without the mess. They are perfect for the Spring weather we are all waiting for. You can just close your eyes, take a bite, and pretend the weather is warm, the flowers are fragrant, and the birds are chirping. How can I taste these new OREO cookies right away? Where can I find them? Well, I have good news for you. OREO is hosting special events this month to celebrate their new flavors and you can be part of it. Head on over to your local Walmart (check here to see if your store is participating) for a fun event that’s perfect for the whole family. 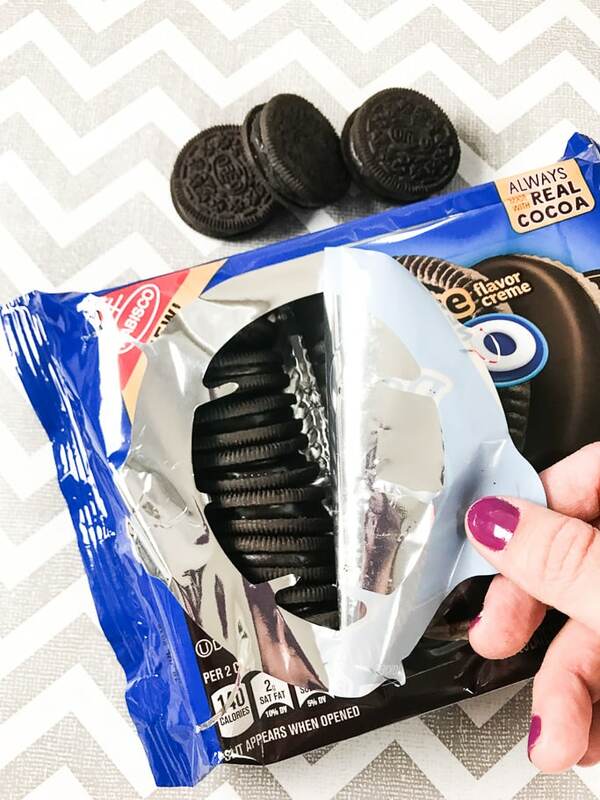 They will offer a FREE in-store sampling of OREO Dark Chocolate and OREO Carrot Cake cookies along with giveaways, fun games, and free swag items. 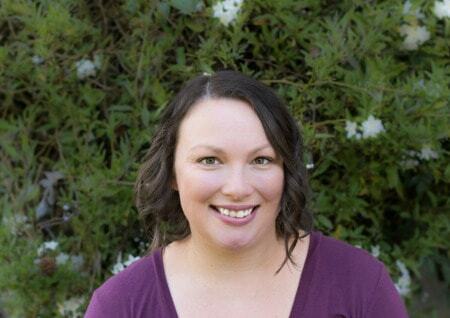 I’m headed to the event here in Northern California this weekend and I am really excited. Make sure you follow along on social media. I will be sharing the event on both Facebook and Instagram. The events are being held from February 14- February 17. Check out these adorable cookie pops made with Golden OREOs. You may also like this fun OREO Valentine’s Day kit. Have you tried the new OREO flavors? Which was your favorite?